Ace Blog: Play the 24Ace 'Gran Prix' game ! Play the 24Ace 'Gran Prix' game ! Hello, and welcome to the 24Ace 'Gran Prix', where participants need to guide their Granny to the finishing line and into her chair lift with the best score! Can you make it onto the top score leaderboard??? 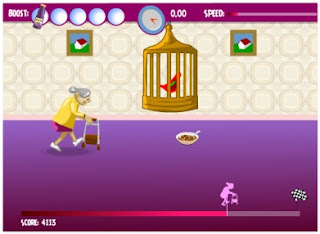 Click here to play 'Gran Prix' ! Enjoy ! !